Imagine taking a trip down Ariel's enchanted lagoon in her Floating Dreams boat! Imagine taking a trip down Ariel's enchanted lagoon in her Floating Dreams boat! 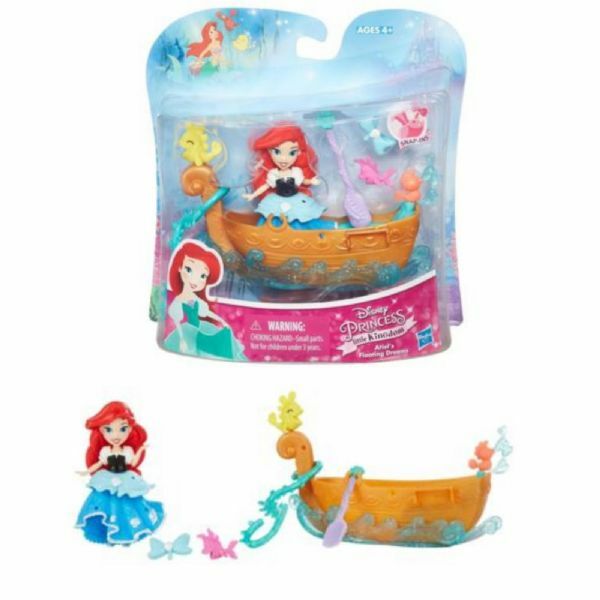 Ariel's boat floats in the water and comes with an oar, seaweed tether, and a wave-shaped base. 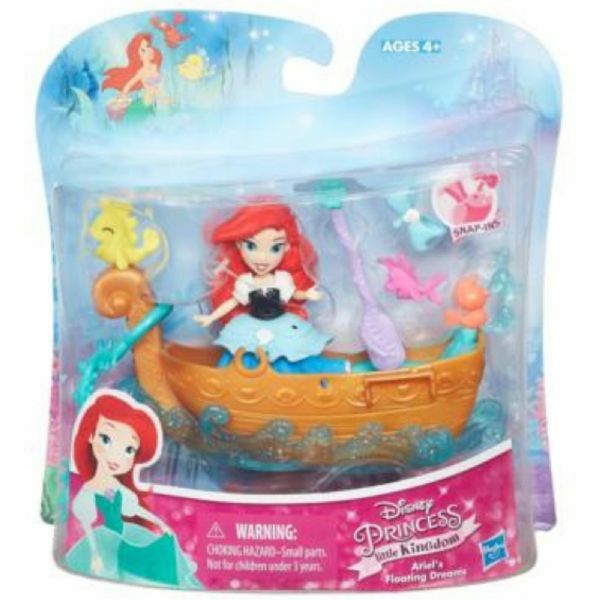 Girls can snap the included sea horse and fish into the boat or into Ariel's hair and dress for lots of seaworthy decoration! 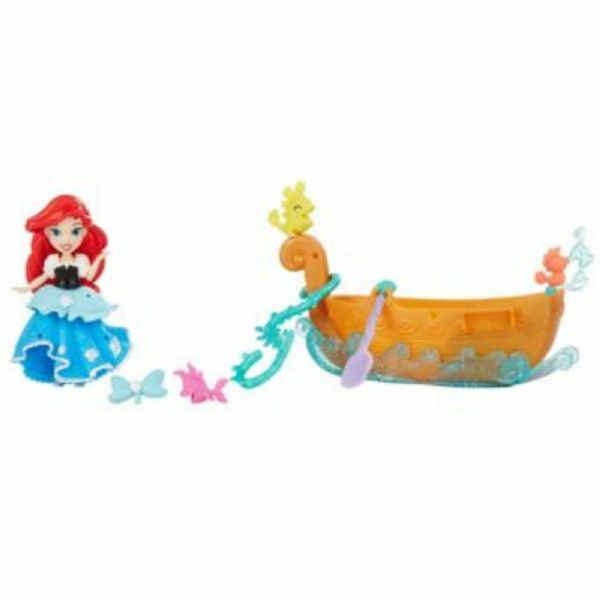 The boat comes with a plastic hook that latches onto Ariel's Sea Castle (sold separately).